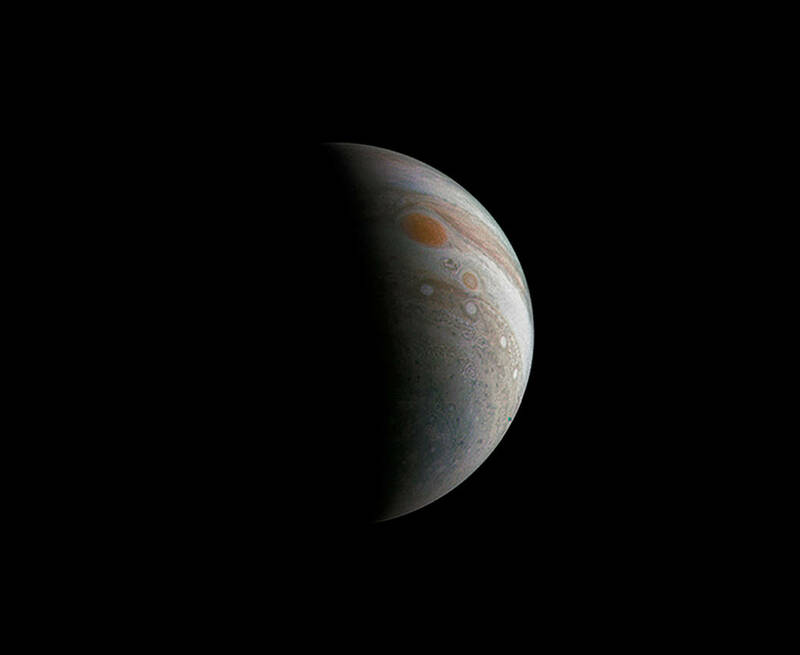 Scientists used red, blue and yellow to infuse this infrared image of Jupiter’s atmosphere (red and yellow indicate the hotter regions), which was recorded by the Cooled Mid-Infrared Camera and Spectrograph (COMICS) at the Subaru Telescope on the summit of Mauna Kea, Hawaii on Jan. 12, 2017. 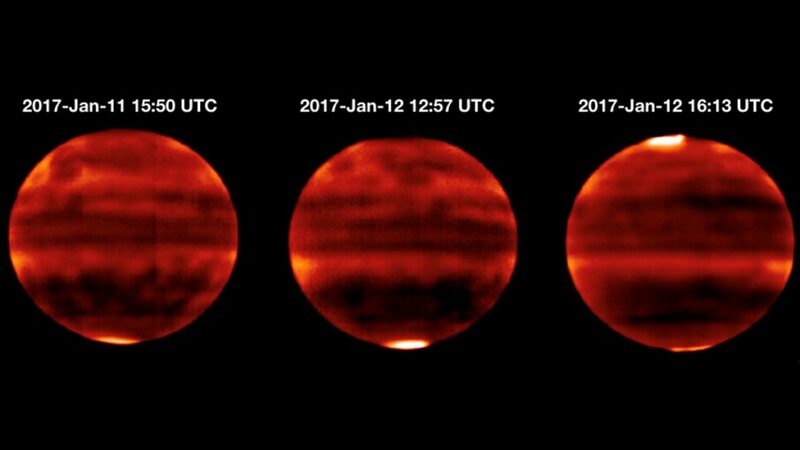 New Earth-based telescope observations show that auroras at Jupiter’s poles are heating the planet’s atmosphere to a greater depth than previously thought — and that it is a rapid response to the solar wind. 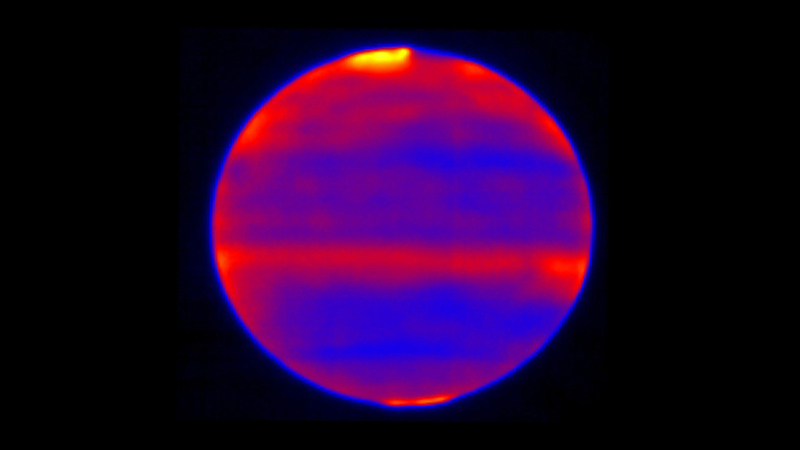 Sensitive to Jupiter’s stratospheric temperatures, these infrared images were recorded by the Cooled Mid-Infrared Camera and Spectrograph (COMICS) at the Subaru Telescope on the summit of Mauna Kea, Hawaii. 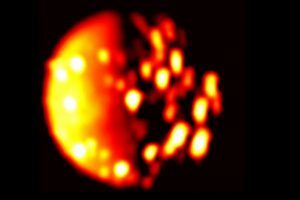 Areas that are more yellow and red indicate the hotter regions. 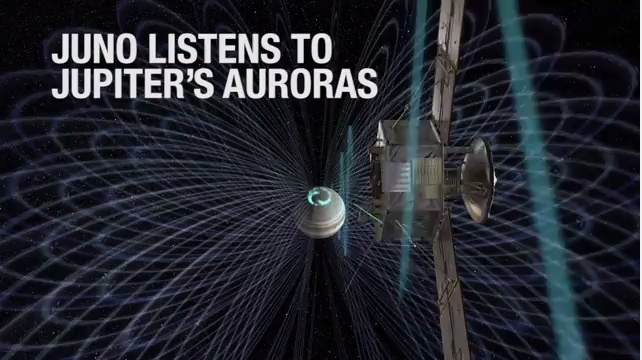 “What is startling about the results is that we were able to associate for the first time the variations in solar wind and the response in the stratosphere — and that the response to these variations is so quick for such a large area,” said JPL’s Glenn Orton, co-author and part of the observing team. 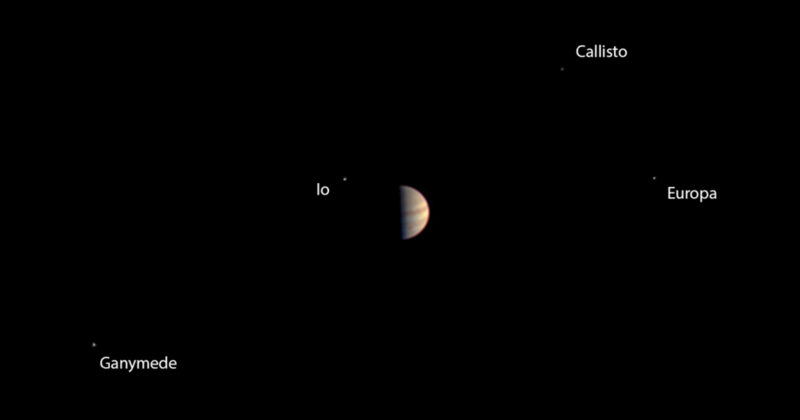 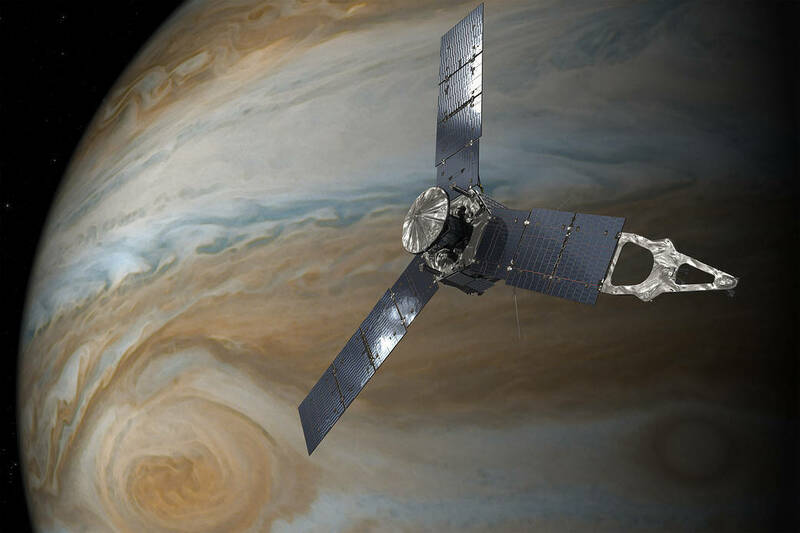 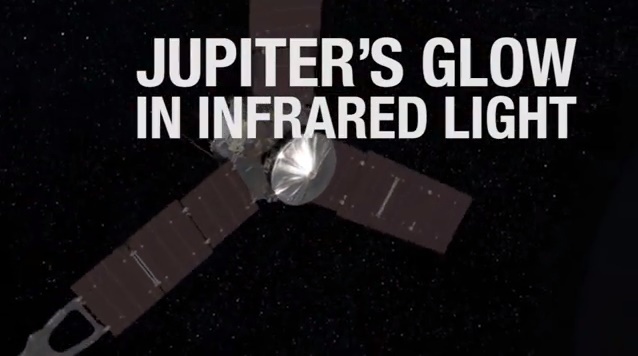 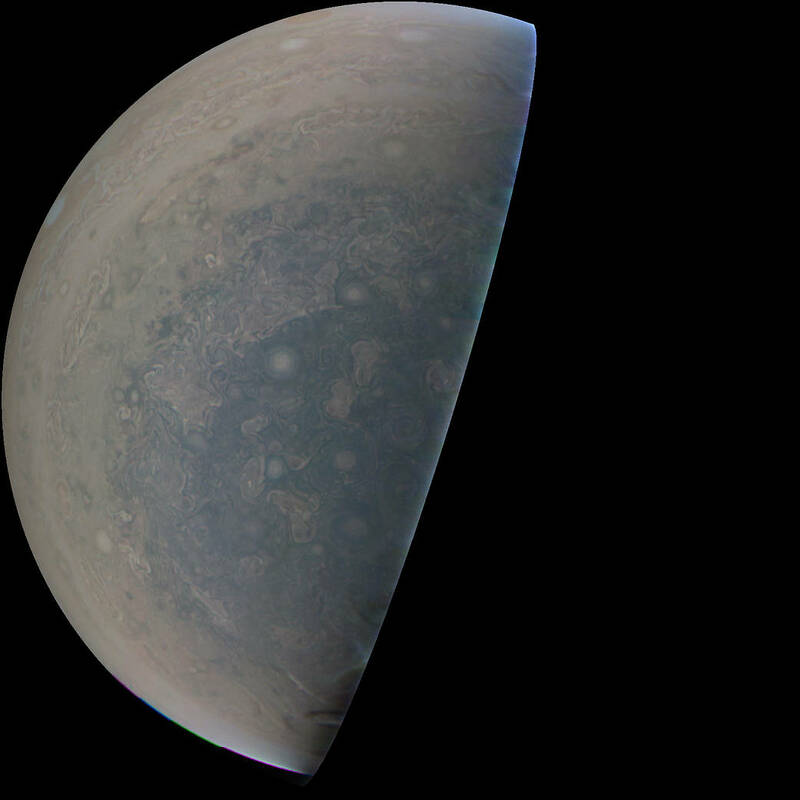 The telescope’s Cooled Mid-Infrared Camera and Spectograph (COMICS) recorded thermal images — which capture areas of higher or lower temperatures — of Jupiter’s stratosphere. 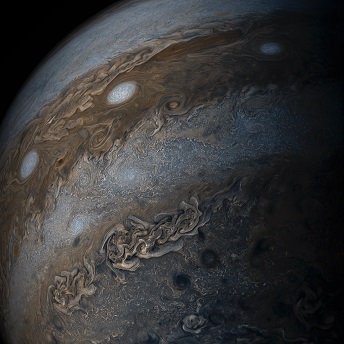 “Such heating and chemical reactions may tell us something about other planets with harsh environments, and even early Earth,” said Yasumasa Kasaba of Tohoku University, who also worked on the observing team.